Advanced materials and a weight-saving design make these Danner Men's 17601 GTX Corvallis Brown Waterproof EH Boots perfect for working men who're looking for footwear that fit more like athletic shoes. Handmade, heavy-duty components make these brown boots long ... (see full details) (see specifications) #DNN17601. Advanced materials and a weight-saving design make these Danner Men's 17601 GTX Corvallis Brown Waterproof EH Boots perfect for working men who're looking for footwear that fit more like athletic shoes. Handmade, heavy-duty components make these brown boots long-lasting and rugged. They have full-grain leather uppers in a combination of light and dark brown. Black and red stitching and laces accents give these premium boots a serious, lumberjack look.This footwear also feature GORE-TEX lining that make them fully waterproof. They wick sweat away from your feet to keep your little piggies dry and also block water from getting in from the outside. The midsoles on these slip-resistant shoes incorporate Terra Force X platforms to provide lightweight, durable traction. This type of platform gives you heel-to-toe energy transfer, side support that enhances maneuverability, and protection from arch overwork and fatigue. Abrasion-resistant toes and heels protect high wear areas, while they're fastened with wider speed laces give you a secure, tight fit. You'll have comfort and durability in this Danner footwear. The low-profile, 90-degree heels on this Corvallis footwear also helps fight leg fatigue, as it provides security when you're on ladders. If you spend a lot of time going up and down ladders, you know how sore your legs can get trying to grip and balance. 90-degree heels give you the assurance of better "bite" on rungs. These men's boots have a unique lug pattern that also helps keep you steadier on your feet. 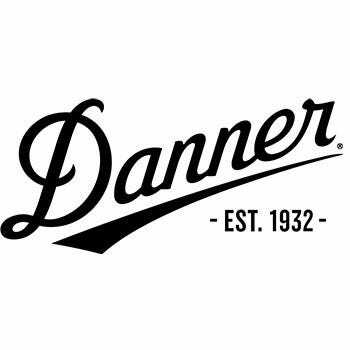 Oil- and slip-resistance from Danner Landscaper outsoles also provides superior traction. In the soles of exceptional shoes, TPU shanks provides added comfort. A shank is a rectangular piece of material that forces the waterproof boots to break at a comfortable spot with each step you take. A proper break reduces pinching and discomfort. In addition these boots only weigh 53 ounces making them comfortable and convenient. They're fastened with wider speed laces for a secure, tight fight that means you can focus on your job and not on your shoes. This footwear also meets ASTM F2892-11 EH standards for electrical hazard protection. They're manufactured with non-conducive electrical shock-resistant soles and heels. Whether you work on railroads, landscaping, for a utility company, or do a lot of work on ladders at your own home, you'll love the features that the Danner Men's EH 17601 Corvallis GTX Brown Water-Resistant Boots provide. Order a pair and see what a difference the right men's footwear can make for your work and for your feet. I recently purchased these Danner boots for work outdoors. They keep me warm and dry, and are very comfortable in near freezing conditions. I felt that the size was true, and there was plenty of room for warm winter socks. They are also comfy enough for a walk around town on a cold day, no need to change your shoes! These are 5" boots but are listed in the 6" work boot category on this website. I purchased these boots for work. I like the toe cap, waterproof liner and slip resistant sole. They felt okay walking around the house and the fit is okay (13D). But after a day at work my ankles were sore. Boots have a hard edge inside on the tongue where the web is stitched to the tongue creating a very uncomfortable situation. I don't think break-in will resolve this. If it wasn't for that I would rate them much higher. I wouldn't recommend them until Danner fixes this issue. Danner Boots: Men's Brown 17601 EH Waterproof Corvallis GTX Boots is being added to your cart.